There are things that occur in your life that stay with you for a very long time. It certainly holds true for me as I get older and grow wiser from all my past experiences growing up Adirondack. I have learned not to fish with my father on any day there is a suggestion of rain as even a remote cloud will form thunderheads and drown us in our boat. I learned that the only friend who will ever listen to all your thoughts and not judge you is your dog. This entry was posted in admin and tagged Columnists, Growing up Adirondack, Mitch Lee on June 27, 2013 by admin. You’ve got your anagram, your cardiogram, a diagram or monogram or telegram. The list goes on and on. I hereby propose a new addition to the “gram family,” and it involves, as luck would have it, family! The family of which I speak is the root of most families—the grammas and the grampas. It seems that this amazing group of elders has evolved into a new improved version of the grams and gramps of yesterday. This entry was posted in admin and tagged Columnists, Jan from Woodgate, Mrs.Lucky on June 27, 2013 by admin. The Old Forge Fire Ladies Auxiliary will be selling popcorn, soda and baked goods in front of the Old Forge Fire Hall prior to the fireworks at the Old Forge lakefront on the Fourth of July. All proceeds from the sale will benefit the Strand Theatre’s digital conversion project. This entry was posted in admin and tagged strand theatre on June 27, 2013 by admin. The concert by the Rochester Philharmonic Orchestra at Arrowhead Park in Inlet on Saturday, July 6 will be under the direction of conductor Michael Butterman. 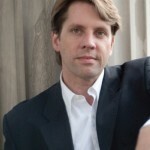 Now in his 13th season as the RPO’s Principal Conductor for Education and Outreach—the first position of its kind in the United States—Butterman is also Music Director for both the Boulder Philharmonic and the Shreveport Symphony orchestras. 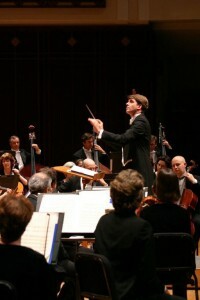 Beginning in the fall of 2009, he assumed the additional post of Resident Conductor for the Jacksonville Symphony Orchestra. This past season was highlighted by his debut with the renowned Cleveland Orchestra. Butterman gained international attention as a diploma laureate in the Prokofiev Inter-national Conducting Competition at Saint-Petersburg and as a finalist in the prestigious Besançon International Conducting Competition in France. There will be much more than meets the eye for folks strolling the streets of downtown Inlet this summer as Brandon and Megan DiMartino open the doors to their latest venture, Putterfingers Mini-Golf and Arcade. 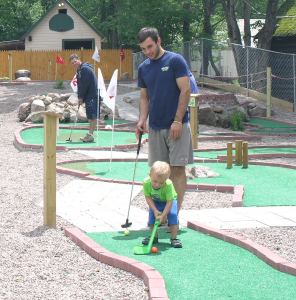 The DiMartinos, owners of the Tamarack Café, will unveil the outdoor mini golf course situated behind their Main Street eatery, on Friday, June 21st. The complex features the 18-hole course and 11 arcade games—including tabletop bowling, foosball and a variety of claw games. 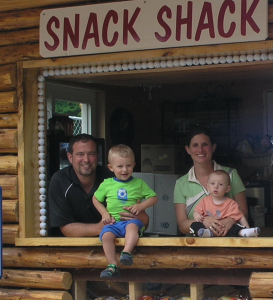 There is also a Snack Shack offering light fare such as hot dogs, hamburgers, fries, chicken fingers, nachos, soft pretzels, popcorn, ice cream novelties and beverages. Enclosed seating is available as well as convenient off-street parking. The DiMartinos, the parents of two young sons, Brody, 2, and eight-month-old Jacob, were prompted to start the business when they recognized a void in family-oriented downtown options—particularly during the bustling summer and fall seasons. They came up with the concept last fall and got Steve LaMesa of MGC Developers of Connecticut to help with the design. Jantzi Construction of Croghan was contracted to execute the plans. LaMesa, who owns property in the area, sat in as a consultant for the construction of the first four holes of the course, with Jantzi recently wrapping up the remainder of the project independently. The DiMartinos said the building process has invited a lot of curiosity seekers who have stopped by to take a look and offer well-wishes. The interest was welcomed, Megan said, due to the anxiety that comes along with creating a brand new business. “We have put our hearts and souls into this. And in the beginning, it was pretty hard for even us to picture what it would look like,” she said. “We have gotten a tremendous amount of positive feedback and support from the community and other downtown businesses. Some have said they are going to work their evening hours around our’s because they know it will attract more foot traffic,” Brandon said. Inlet Supervisor John Frey and Inlet Tourism Director Adele Burnett agree that the new venture will enhance the community at large. “I’m thrilled about the new addition of the mini golf course and arcade. It will invite more people to wander around town and give kids and visitors more to do,” Burnett said. 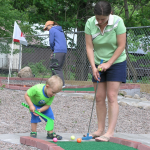 “We’re excited about having the challenging outdoor 18-hole mini-golf here in Inlet. I applaud Brandon and Megan DiMartino for bringing in a fine replacement for the foot traffic once created by the movie theater. The golf course and arcade will create a continual flow of traffic which could inspire neighboring businesses to stay open later— it’s a great addition to the town,” Frey said. Putterfingers will be open on Friday, June 21 from 4 to 10 p.m. and Saturday and Sunday, June 22 and 23 from 11 a.m. to 10 p.m. The cost of playing 18-holes of mini golf is $6 and as an opening weekend special, the DiMartinos will be offering $1 hotdogs. Beginning Friday, June 28 Putterfingers will be open seven days from 11 a.m. to 10 p.m.
CAP-21 will join forces with the Adirondack Park Invasive Plant Program (APIPP) to fight the spread of Garlic Mustard within the Town of Webb by gathering a team of volunteers on the morning of Wednesday, July 10 to help pick the land-based invasives. Volunteers are asked to take several actions prior to the initiative including researching YouTube videos on the plants and the damage they cause, take notice of patches of Garlic Mustard and notify CAP-21 with the location, or log the location directly into www.imapinvasives.org with your smart phone. This entry was posted in admin and tagged Cap-21, invasive species on June 20, 2013 by admin. The Inlet Historical Society will present its first program of the summer, “Before There Was Inlet, Part One,” at 7 p.m. on Wednesday, June 26, in the Inlet Town Hall at Arrowhead Park in Inlet. Charles Herr will discuss the lives, plans and hopes of the owners of the Inlet’s land before settlers, transportation, and civic needs resulted in the town’s separation from Morehouse in 1902. This entry was posted in admin and tagged Inlet Historical Society on June 20, 2013 by admin.